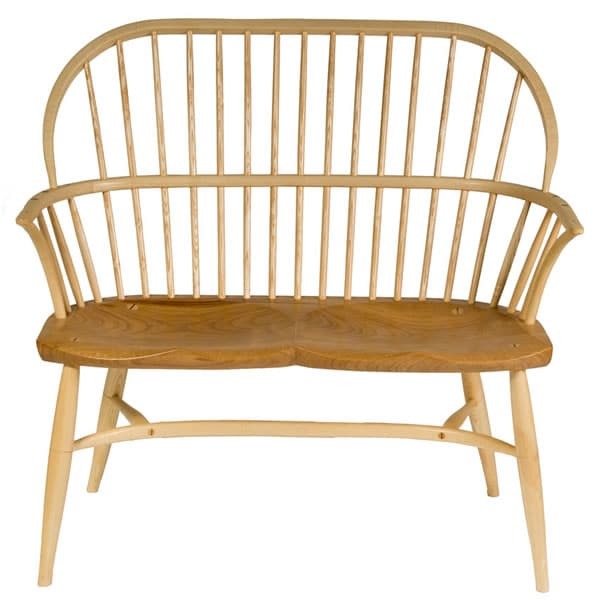 This contemporary two-seater combines aspects of traditional English and American Windsors. The crinoline stretcher, bent armposts and substantial arm and bow are typically English. The through-tenoning of the spindles is typically American. This adds visual impact, particularly when the wedges are made of a contrasting wood such as cherry or oak. 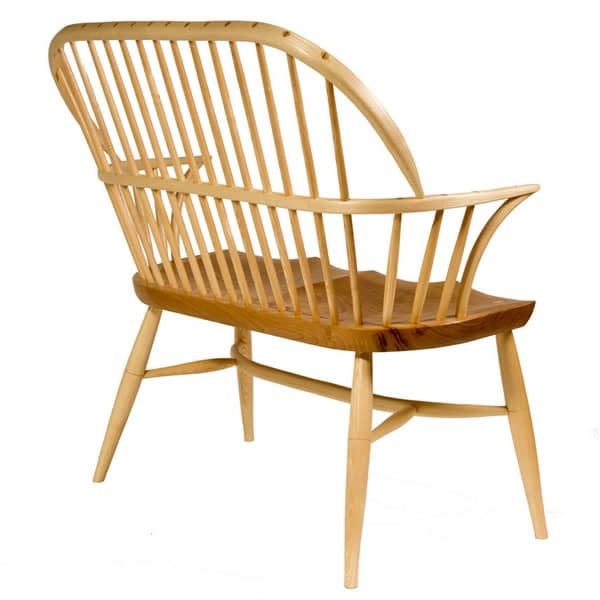 The example chair is made of ash and sweet chestnut for the seat. 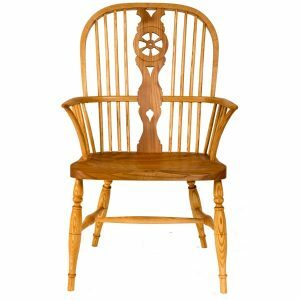 The two seats are sculpted from a single plank 1 7/8” thick. No more than ¼” of wood is necessary at the lowest point of the seat. 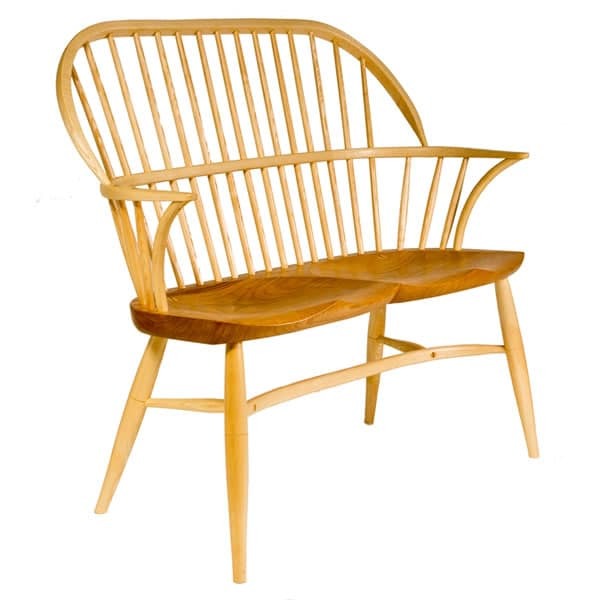 The seat shape is not traditional and is shaped for both distinct looks and comfort. Turnings are simple and understated in accordance with the contemporary design. Alternative patterns could be substituted, although it is important that the insertion point for the crinoline stretcher remains the same. Windsor settees come in all lengths. This settee is relatively compact. It will suit a hallway or small alcove ideally, or stand alone in a living room. The Windsor settee shown has been made by James Mursell of The Windsor Workshop in Sussex, England.